Over time, my approach has evolved to apply these examinations towards spatial studies that play with form and distortion. These plants and animals are broken down and put back together in an unlikely pattern, but still maintaining a balance of alluring intricate detail. I am interested in how these patterns move together between the natural and abstract fields, articulating a fluctuating tension that eases and tightens. Anne Libby (b. 1987 Los Angeles, NY) lives and works in New York. She received her BFA Rhode Island School of Design, Providence, RI in 2009 and received her MFA from Bard College Annandale-On-Hudson, NY in 2016. Her recent solo shows include Marrow into Moxie at Night Gallery, Los Angeles, CA, 2016; Lilies Lamellae at Metropolitan Structures, Baltimore MD, 2015; Les Annelés at Violet's Café, Brooklyn, NY, 2015. Her recent group shows include A Dumb Sound, A Sweet Bell at 315 Gallery, Brooklyn, NY, 2017; There is no fact as to whether or not P at 247365, New York NY, 2015; Tears On My Spiderroll at Violet's Café, Brooklyn, NY, 2015; The Fishbone Diagram at U.S. Blues, Brooklyn, NY, 2015.Karin Haas (b. 1986) lives and works in New York NY. She received her BFA from Milwaukee Institute of Art & Design, Milwaukee, WI in 2008. 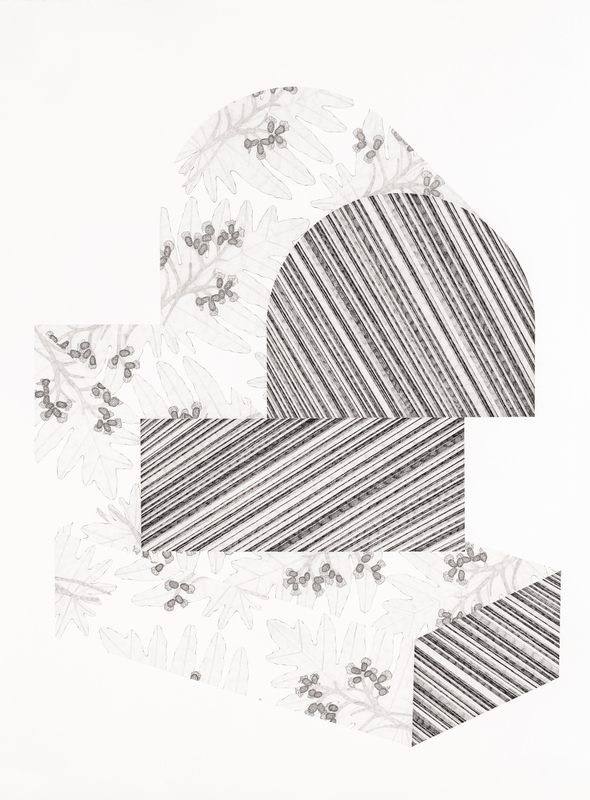 Her recent solo shows include Plants with Stripes at 315 Gallery, New York, NY, 2015. Her recent group shows include Opening Only in association with Frontrunner Magazine, New York, NY, 2016; ARTspace at John Michael Kolher Art Center, Sheboygan, WI, 2012; Ravenswood Art Walk, Chicago, IL, 2011; Au Naturel at Katie Gingrass Gallery, Milwaukee, WI, 2011; Slow Start, Long Beginnings Walker’s Point Center for the Arts, Milwaukee, WI, 2011.